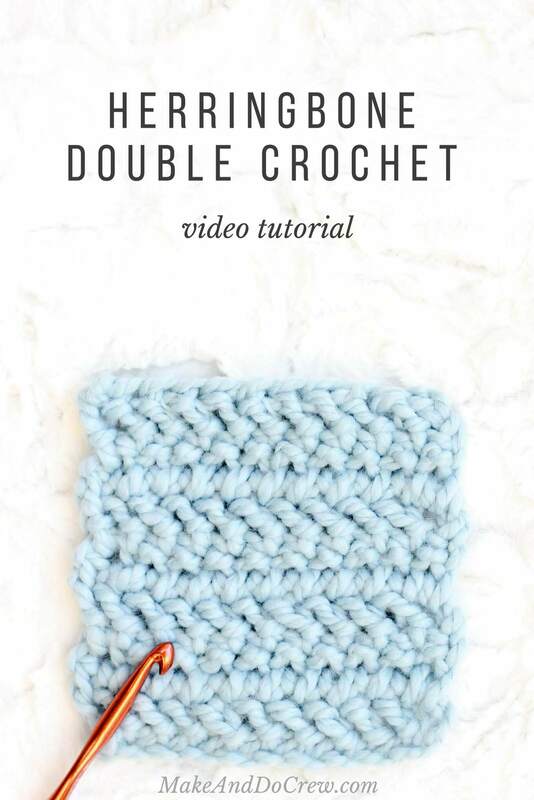 Learn how to crochet the herringbone double crochet stitch in this easy video tutorial. 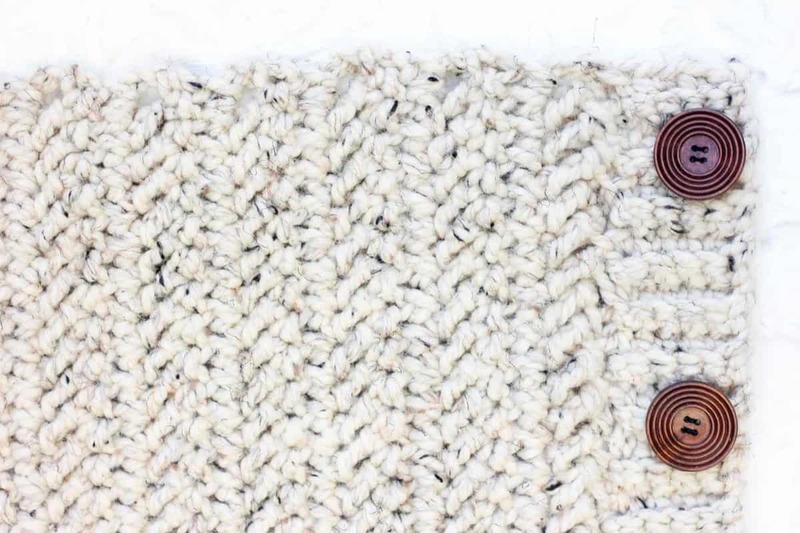 This modern-looking stitch is great for afghans, scarves and striped projects. Because it’s based on double crochet, it also worked up really quickly! 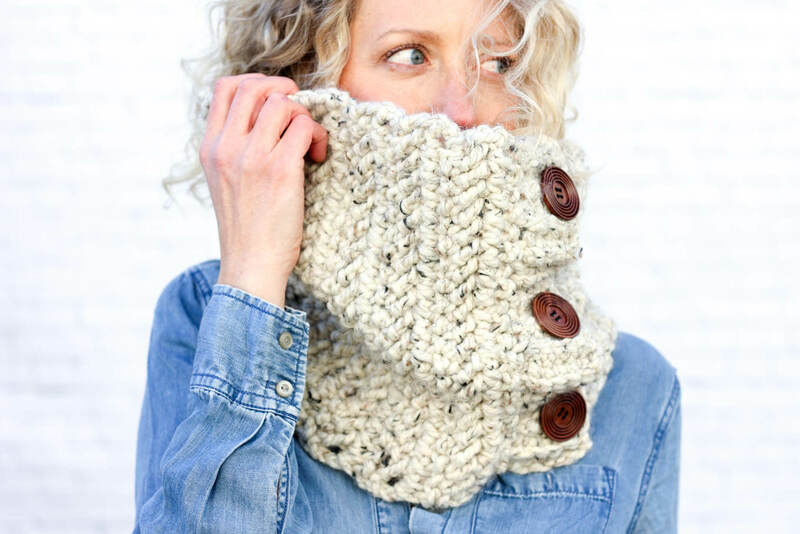 Put it to use in my free “Bixby Cowl” pattern. Do you guys know what I mean when I say something looks “too crocheted?” As in, it looks just a little fuddy duddy and old fashioned? Like some sort of toilet paper roll cover that you’d see in a church basement bathroom. You know, too crocheted. Don’t get me wrong. I love crochet. (Obviously.) But I particularly like it when the texture looks intricate, modern and sometimes even (dare I say it? ), like knitting. 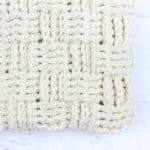 Alright, without further ado, let’s learn how to crochet the herringbone double crochet stitch! Check out the video below for step by step instructions or keep scrolling for the written instructions. Note: I don’t mention this in the video, but the final stitch of each row should be worked in the top part of the turning chain. I only learned this after making and recording the video. I suspect that doing this might eliminate the “gap” at the edges that I mention. My suggestion would be to make a little swatch using two turning chains and one using three turning chains and see what you like best! 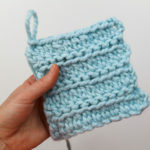 hbdc – herringbone double crochet: yo, insert hook into next chain, yo and pull through the chain and the first loop on the hook, yo and draw through 1 more loop on the hook, yo and draw through both loops on hook. • I explain this in the video, but the two swatches below illustrate the difference between using two (left) or three (right) turning chains. This stitch usually calls for three turning chains, but I prefer how there is less of a visible gap at each edge when two chains are used. These instructions explain the 2 turning chain (blue) version and instructions for the 3 turning chain version are in parentheses. • Work the final hbdc of each row into the top of the turning chain to create a smoother edge. Any number of stitches, plus 1 for the chain (or plus 2 for the chain for the 3 tch version). Row 1: Sk first 2 ch (sk first 3 ch for 3 tch version) (counts as 1 dc), 1 hbdc in next and every ch to end; turn. Row 2: Ch 2 (ch 3 for 3 tch version) (counts as 1 dc), sk first st, 1 hbdc in next and every hbdc to end of row, working last hbdc in tch; turn. Repeat row 2 for as many rows as you wish. 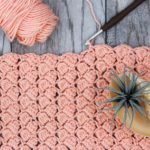 Now that you know how to crochet the herringbone double crochet stitch, you can make my free “Bixby Cowl” pattern with ease! 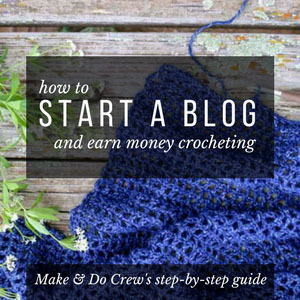 Thank you for free crochet patterns. You’re welcome, Tricia! I love getting to chat crochet with people all over the world. It’s so wonderful! I thank u for sharing since I’m new to crochet. I don’t know how to make stitches and am ignorant in this area. U will enlighten me in this area so I can enjoy the smiles of my grandchildren in making them any items that I wish to make for them. Again thank u ever so very much. You didn’t mention that your ‘yarn overs’ are from the front and not the usual wrap from the back for this stitch. 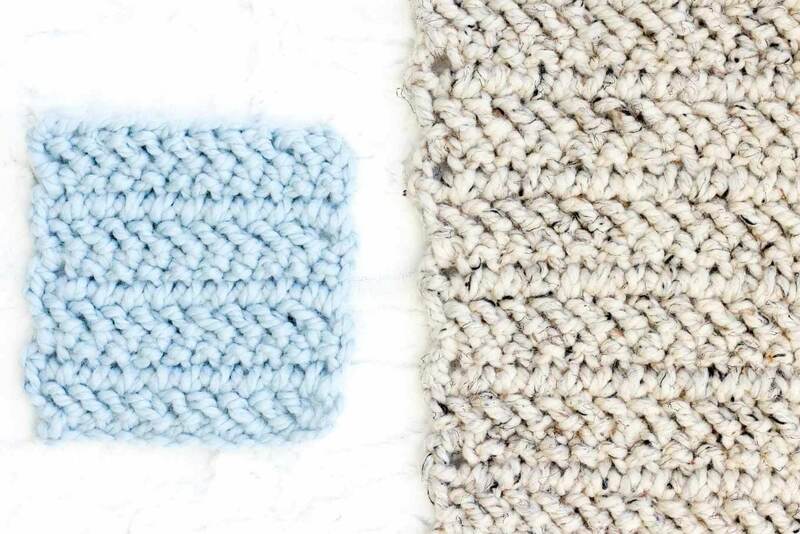 I do all of my yarn overs from the back, so I’m wondering if the stitch will come out looking like yours, or like a completely different stitch? I haven’t tried it myself, yet….. 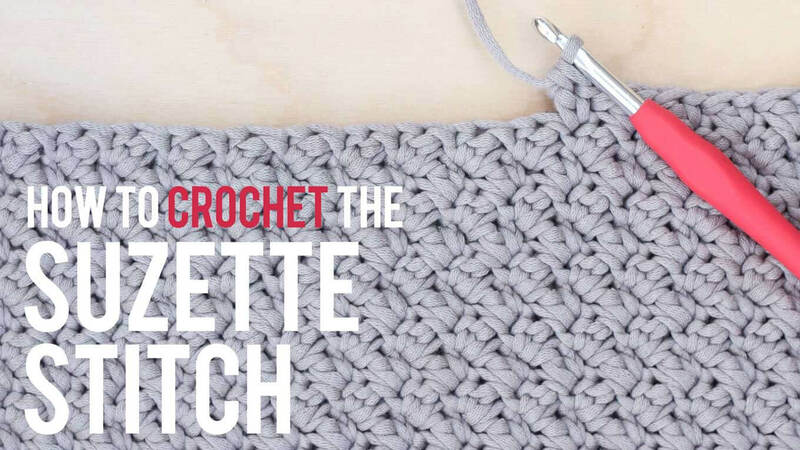 This is a great stitch I can’t wait to try! 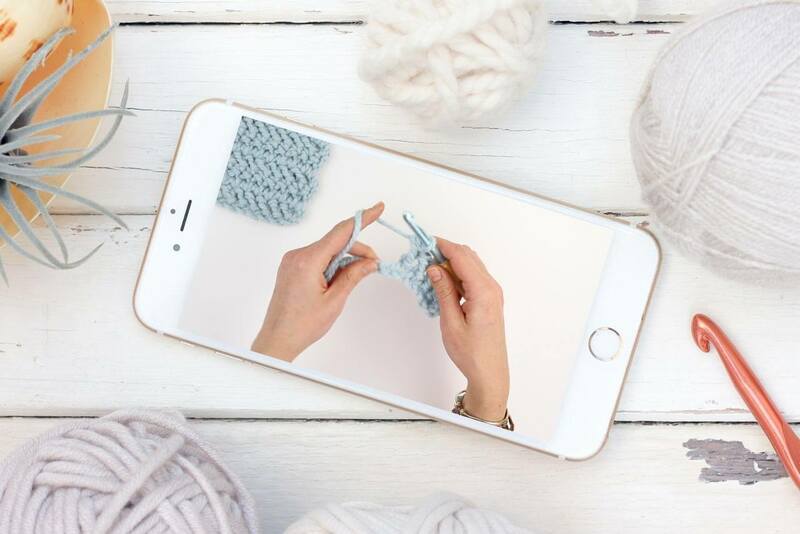 I’m confused though… I my grandma taught me the double crochet like: yarn over, pull through chain or stitch, yarn over, to front (3 loops on hook), yarn over, pull through 2 loops, yarn over, pull through 2 loops… Have I been remembering the right stitch or have I mixed up the double with the 1 1/2? 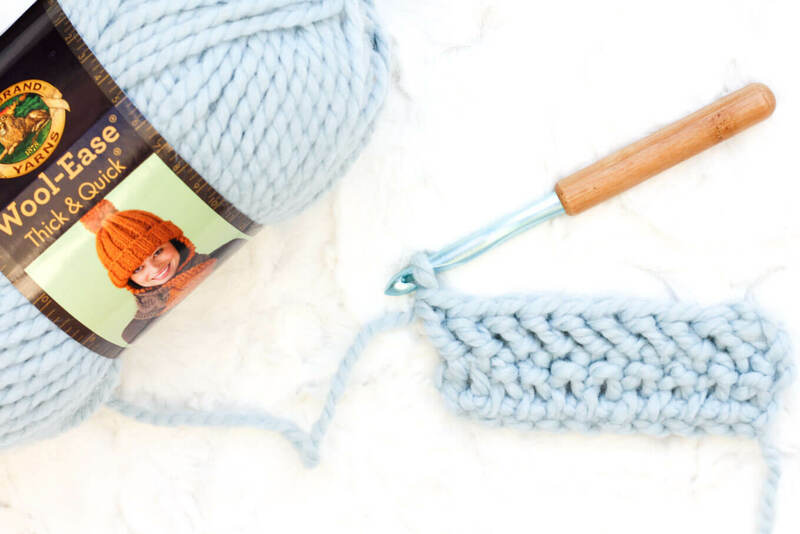 Have you ever tried this pattern with a lighter yarn that isn’t bulky? 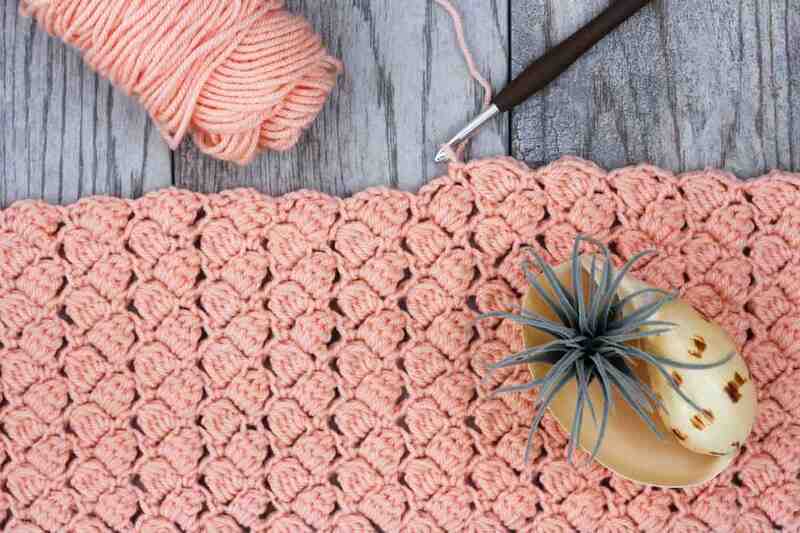 My new favorite crochet stitch/blanket!! So cute and thank you for your generosity in sharing with the rest of us!! I’m excited to make a gift of it for a friend having her first baby. I believe what you’re doing is actually a yarn under. I’m going to have to try this to see if it looks differently done with a yarn over. Regardless, it’s a lovely stitch.